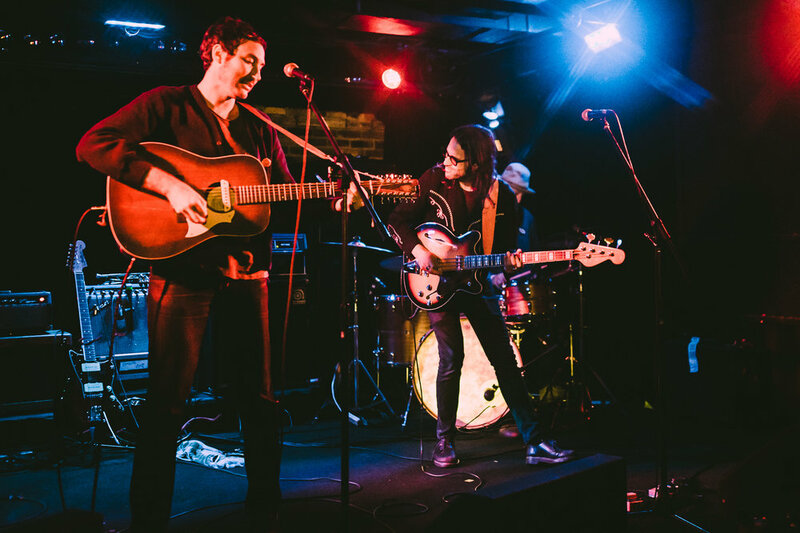 Californian singer-songwriter Matt Costa has been in the music industry for fifteen years, travelling the world writing and working with other amazing artists, like Belle and Sebastian. The last two of those years he spent working on his new album Santa Rosa Fangs, released under Dangerbird Records in May of this year. This past Wednesday he made a stop in Vancouver to play at the Biltmore Cabaret. I’m not going to lie, I haven’t listened extensively to Costa’s music, but from what I heard of him on Wednesday and what I’ve heard while researching, is that he fits in very well with the sound you expect to hear when you think of an American singer-songwriter from California, but with a uniqueness to his sound that I have yet to put my finger on. The thing that strikes me, with this new album especially, is the summery/lo-fi sound that reminds me a lot of John Andrews and The Yawns, but with less of the melancholy. It’s the perfect sound to spend a morning relaxing to, but also has a depth in the lyrics and sound to keep it interesting while you play it on repeat. Costa’s stage presence feels very conversational. That’s a weird way to describe it, but it feels as if he’s just playing to a group of friends while he tells stories about falling in love with Mermaids named Sharon. When he interacts with the audience it is clear that there’s a reason he’s been doing this for fifteen years. He makes everyone feel welcomed and seems to genuinely enjoy what he’s doing and is passionate about the lyrics he’s written. During one of the instrumental sections, he came down into the audience and you could see the way he lost himself in the music, looking almost as if he was having some sort of spiritual awakening. The way he performs is full of passion and heartfelt, perfect for a small room like this one, but also lends itself to a bigger stage than the 10 foot square given to him at the Biltmore. His energy projects out from him when he sings, giving the audience something to feed from and give back to, which I can’t say is something I’ve felt from an artist in a while. I would love to see him perform on a bigger stage someday, because I have a feeling that this energy would just multiply given the right circumstances.